Mount disk images as drive letter"
The landscape of computing with media files is changing gradually. The trend of using an optical drive is declining as many companies directly provide downloadable links to programs and media files. This strategy bypasses the slow offline distribution chain and allows the organizations to relate directly with the end user of their products. In the same vein, hardware developers are gradually making optical drives an optional add-on for their computer devices. These developments have increased the popularity of applications that mount image drives on PC completely negating the need to use an optical drive. This software does a perfect job of mounting various types of drives. The installation process has no complications, and the program interface is simple enough for any computer user to operate irrespective of their level of experience. 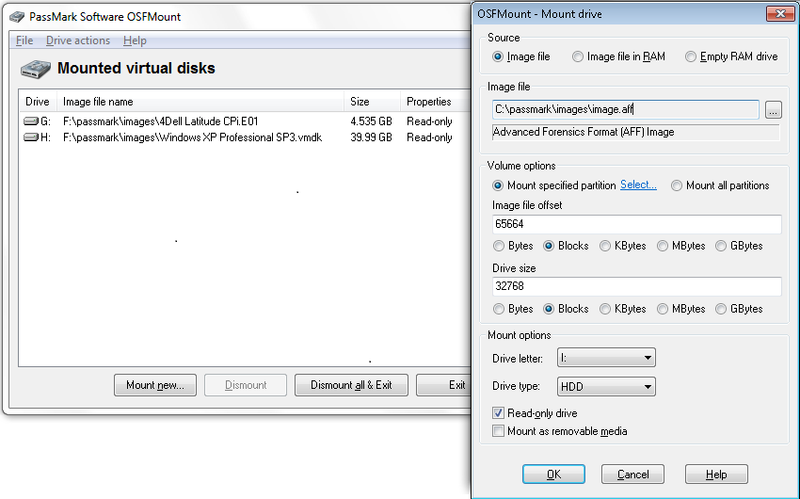 The application mount image drives in various ways and can also designate custom permission to the drive. 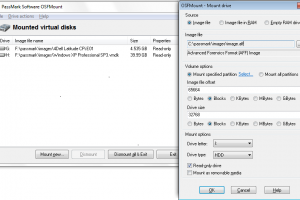 The user can mount multiple image drives and unmount them using this program. Other features of this application include the ability to convert image files to other formats such as ISO, IMG, and others. and extend the size of the drive among other features. This program is a necessary utility every computer should have. OSFMount is licensed as freeware for PC or laptop with Windows 32 bit and 64 bit operating system. It is in hard disk utilities category and is available to all software users as a free download.